India has the second largest number of tobacco users (275 million or 35 per cent of all adults in India) in the world. Fixation of sin tax on tobacco at less than 40 per cent would amount to making tobacco products affordable to youth, blunting the edge of India’s tobacco policy, health experts believe. 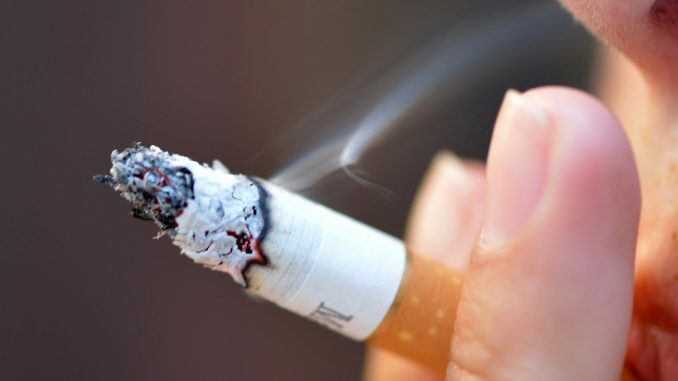 The sin tax is intended to pay for the damage caused to society by products like tobacco, and also to raise prices of tobacco products to reduce their usage. The GST Council’s proposal on October 20th for 26 per cent GST sin rate would defeat both purposes — it would slash current revenues from tobacco and encourage consumption of tobacco products among vulnerable populations, including children and youth, by making tobacco products more affordable. The proposed 26 per cent sin tax flies in the face of the recommendations contained in the latest report of the Chief Economic Advisor (CEA), said Dr Pankaj Chaturvedi, Oncologist, Tata Memorial Hospital, Mumbai. This report, which was made after serious consideration of all parameters, recommended 40 per cent GST sin rate on all tobacco products including cigarettes, bidis and chewing tobacco. Where was the justification for the GST Council to overrule the CEA’s recommendations, Chaturvedi asked. India has the second largest number of tobacco users (275 million or 35 per cent of all adults in India) in the world. Of these, over 10 lakh die every year from tobacco-related diseases. The direct and indirect costs of diseases attributable to tobacco use were a staggering Rs 1.04 lakh crore ($17 billion) in 2011. This amounts to a loss of 1.16 per cent of India’s GDP. According to Dr Rijo John, Assistant Professor, IIT Jodhpur, “Any GST rate lower than 26 per cent would make tobacco products affordable to youth and other vulnerable populations, making the tobacco epidemic more severe, driving up healthcare costs and reducing economic productivity throughout the country,” he said.